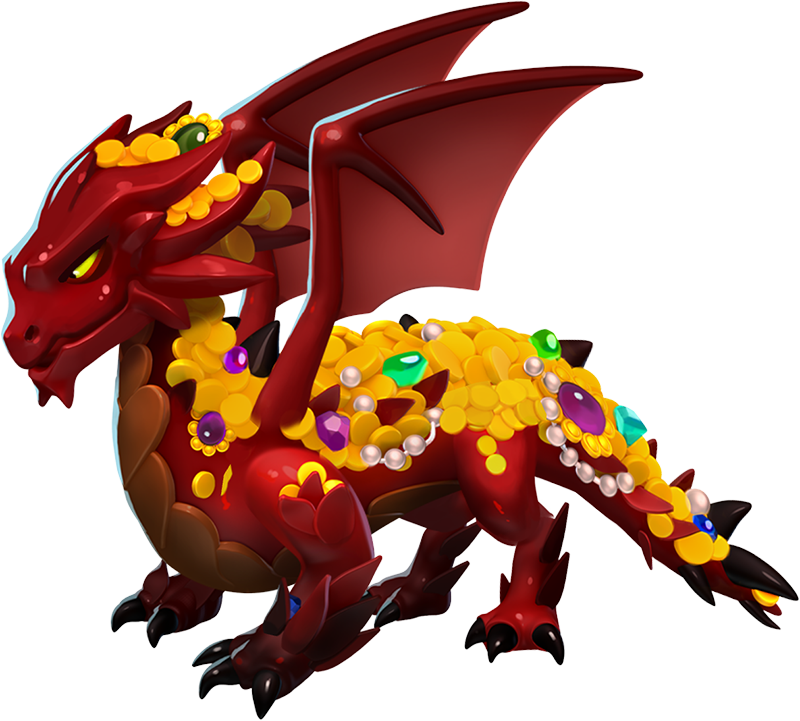 The Treasure Dragon's a real gem! But don't make this Trainer's mistake of letting it borrow your jewelry, or you'll find your valuables added to its collection. 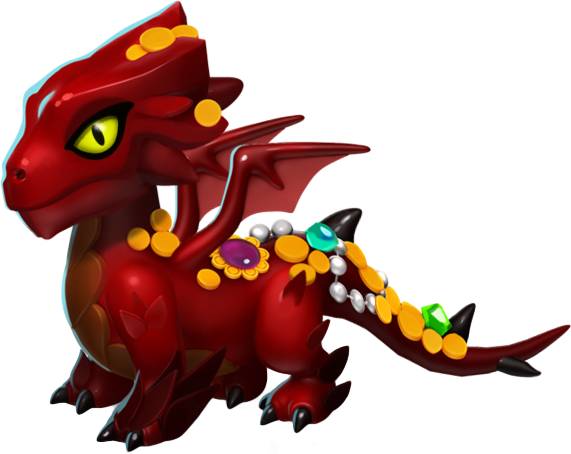 The body style of the Treasure Dragon is leonine. 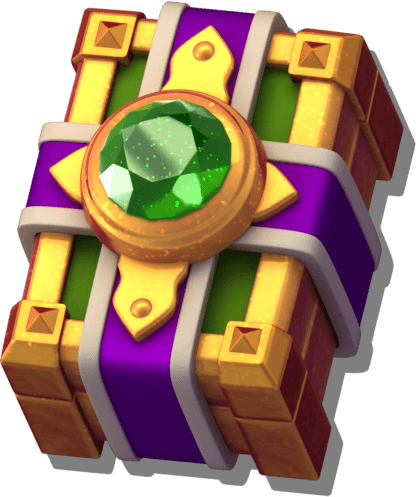 The Treasure Dragon is a limited-time Card-Segment Dragon which is obtained if its required 14 matching Dragon Pieces are collected from Clan Event Card Packs that are rewarded only when certain milestones are attained in Clan Events. Incubating and subsequently hatching the acquired egg of this Dragon takes 19 hours and 40 minutes. 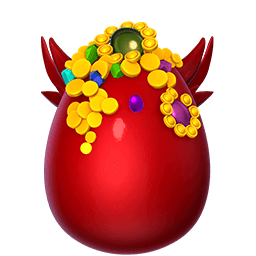 With an active VIP Status of Level 2 or higher, the hatching time is reduced to 15 hours and 44 minutes.